It was the next chapter in our story, however, it didn’t go as I’d hoped. It had been just over a year since we’d begun the paperwork for our adoption. Three months prior we received the Bulgarian approval and we waited for a match. International adoption is a complicated process involving lots of waiting so we prepared as best we could. We had yet to realize trusting and surrendering plays an enormous part in waiting well. But what if her report was filled with scary diagnoses? What if my husband didn’t see it as I did? A month later, they set our petition for presentation before the Bulgarian Ministry of Justice. Excitement filled our house that morning. It was the day it would be official! We would start the formal process of adopting our daughter. My cell phone rang and with anticipation, I answered. But the words I heard were not the words any of us expected. The answer was “no”. Our little girl had been given to another family. 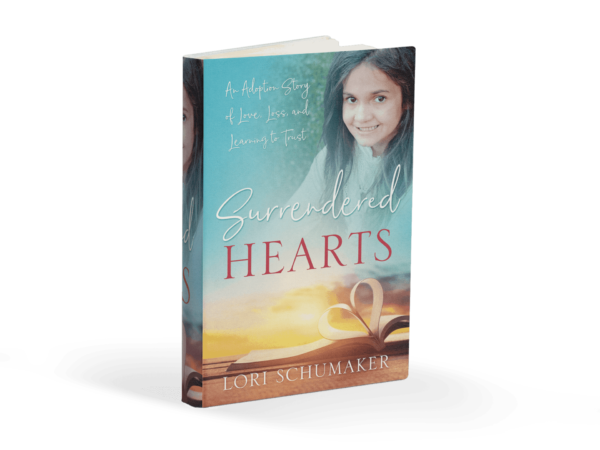 Surrendered Hearts: An Adoption Story of Love, Loss, and Learning to Trust is our family’s adoption story. But it’s so much more. It’s how we’ve learned to surrender our will for God’s and how we’ve experienced miracles because of it. My prayer is that as each persona steps out into the unknown, they lean into the strength of Christ and discover something far beyond what they have ever imagined. Want more information? The Surrendered Hearts website is HERE! 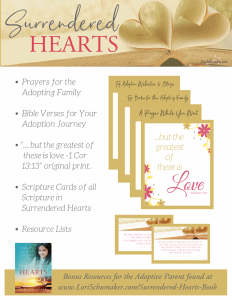 You’ll find the Book Video Trailer and other goodies like shareable images, tweets, and a set of FREE Bonus Resources for the adoptive parent or for anyone needing a little extra encouragement in life! Want to go straight to Amazon? Then you can click HERE! 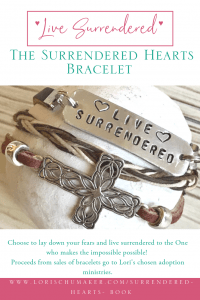 In conjunction with the book, I have partnered with Theresa of Tees Cherished Finds to create a Surrendered Hearts Bracelet! The message to Live Surrendered means that you are choosing to lay down your fears and live surrendered to the One who makes the impossible possible. When you choose to Live Surrendered, you are committing to following Jesus where He calls. You are choosing to let go of your way and take hold of His way. 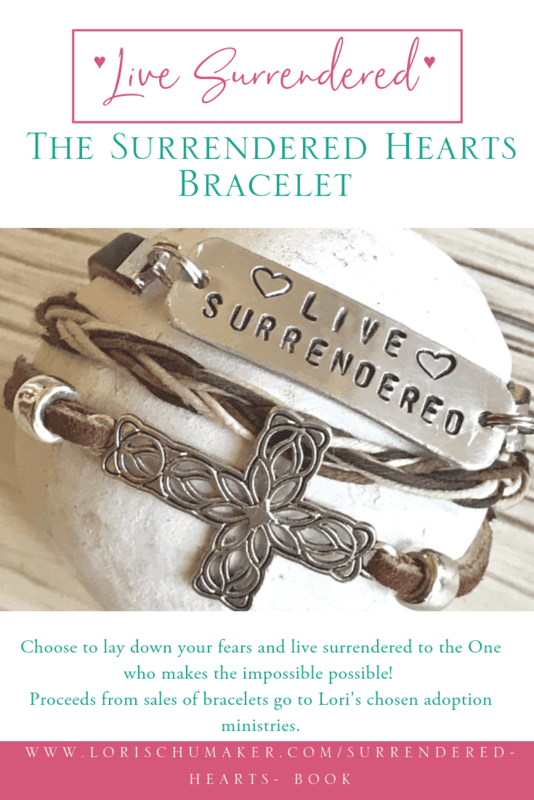 And when you purchase a bracelet for just $15 (look in the right margin), just as when you purchase the book, a portion of the proceeds will go to Lori’s chosen adoption ministries. Just click on the image below. 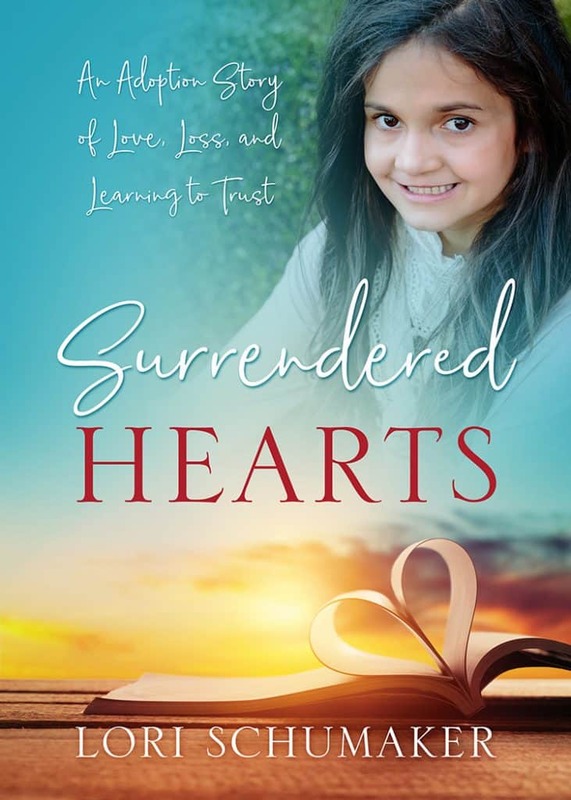 It will take you to the Surrendered Hearts page where you can find out more and make your purchase! If you haven’t signed up yet to receive updates, you can do so right HERE (or fill out the form below). Subscribing will get you my occasional updates. It also gets you full access to my resource-filled Library of Hope! It has a ton of stuff in it to help you meet life’s challenges head on with the best tool we have – the hope of Christ! 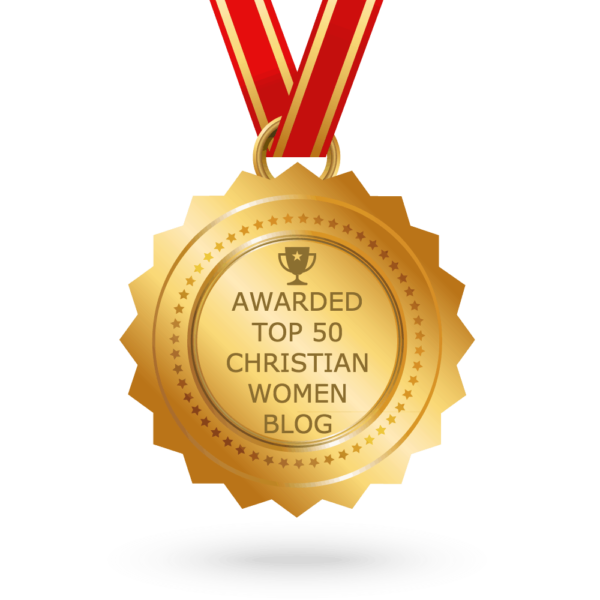 I love connecting with these fabulous bloggers! When God calls us to anything, it’s hard to turn away. Thanks for sharing your story of boldness, Lori. It’s good to be encouraged by what we read. That is so true, Lux! When God places that call deep on our heart, He compels us to follow Him!